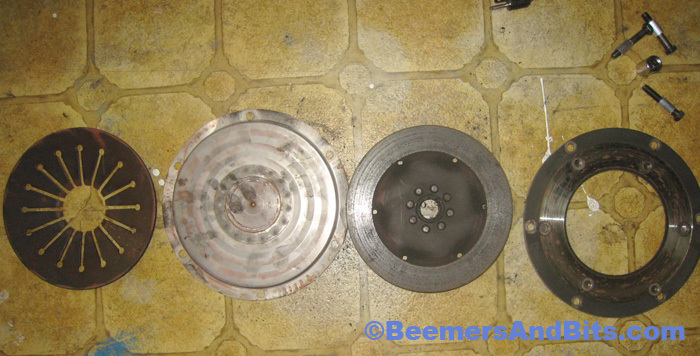 It’s been about 5 years since i have pulled a flywheel and a clutch from an airhead engine. I do remember the process being slightly ‘dangerous’ in that if you don’t remove the clutch properly, the force of it could cause harm to yourself or your motorcycle. 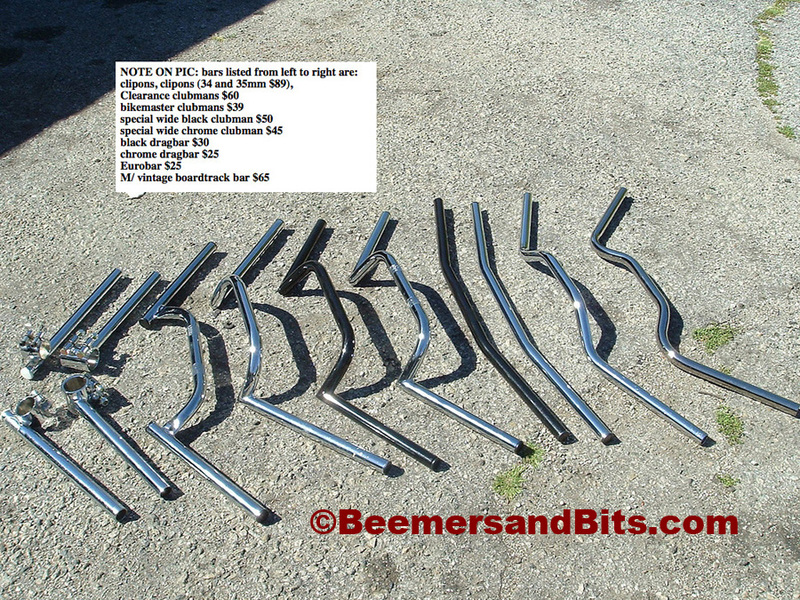 I don’t have the BMW ‘special’ tools at my disposal to do so safely… so i figured i would make my own. Total cost – $10 from my local Ace Hardware store (which happens to have the best spare bolt, nut, screw selection i’ve ever seen). No need for the BMW Special tools. You will need to purchase three M8 x 1.00 thread (fine thread) bolts about 2 inches long. I cut the aluminum tubing into three sections about 3/4 inch. Clutch pressure now lessened and on the bolts with the spacers. 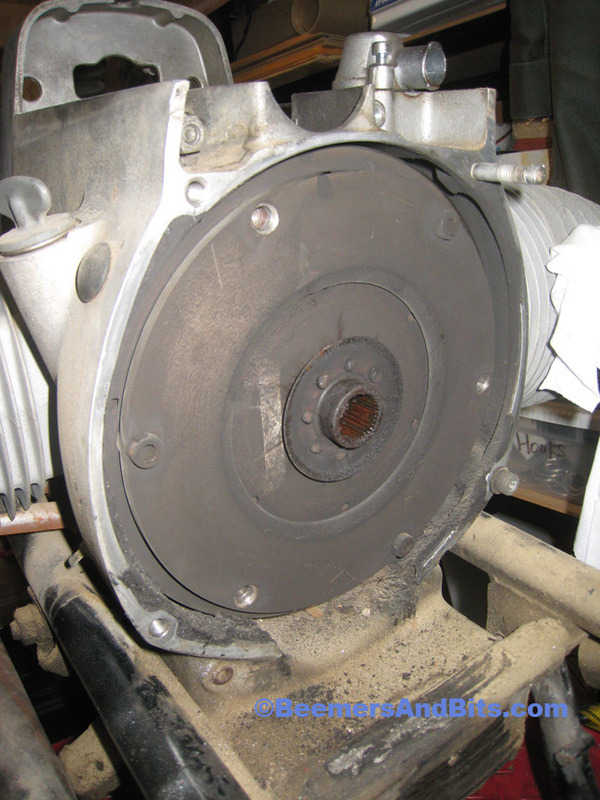 Now it is simply a matter of removing the remaining 3 bolts, evenly, until the clutch disk is released. If your bike has these spacers, Keep them! 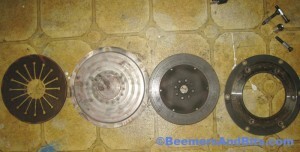 Some clutch disks don't. 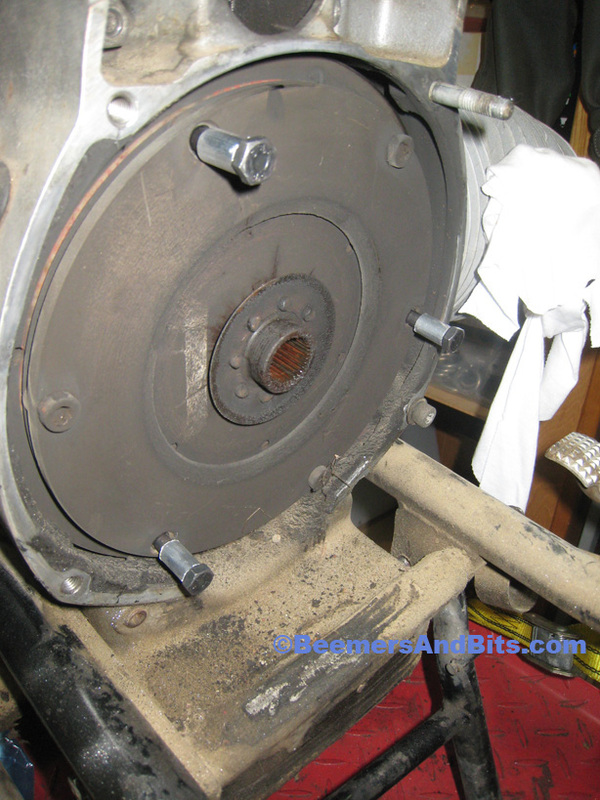 To remove the flywheel, you have to prevent the engine from turning while removing the flywheel bolts that secure it to the crank shaft. Also, without securing the flywheel, you can also run a risk of knocking the inner thrust washer (around the camshaft) off the pegs within the inside of the engine block. SERIOUS damage could occur within your engine case if that happens. 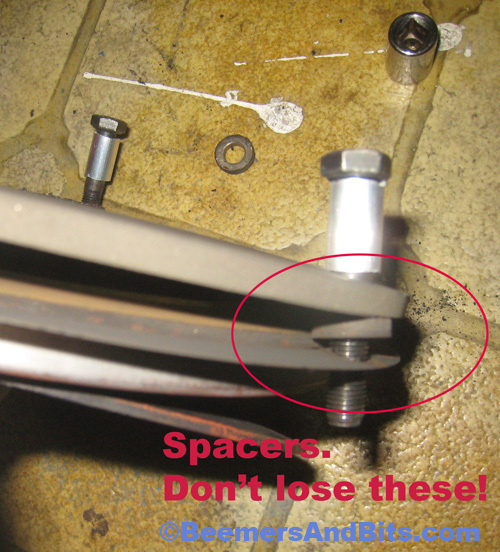 BMW recommends a ‘special tool’ but it is merely a device that locks the flywheel in place. I made my own from a piece of steel for $2.00. After some quick cutting and drilling, I have my very own version of the ‘special tool’. 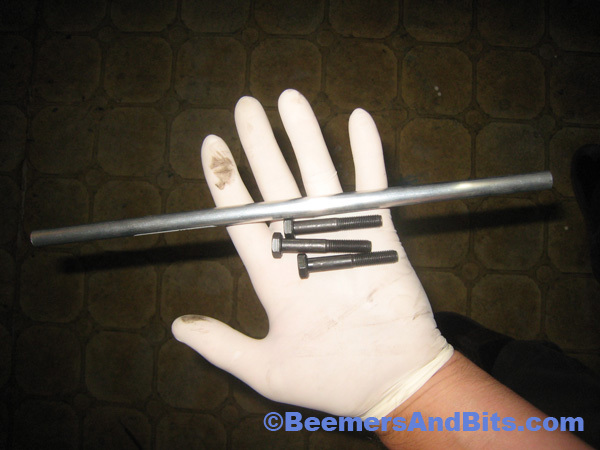 Use the original flywheel bolts, and finger tighten them as much as you can and you are now free to use a nice breaker bar, a 17mm socket(i think) and crank out those flywheel bolts. 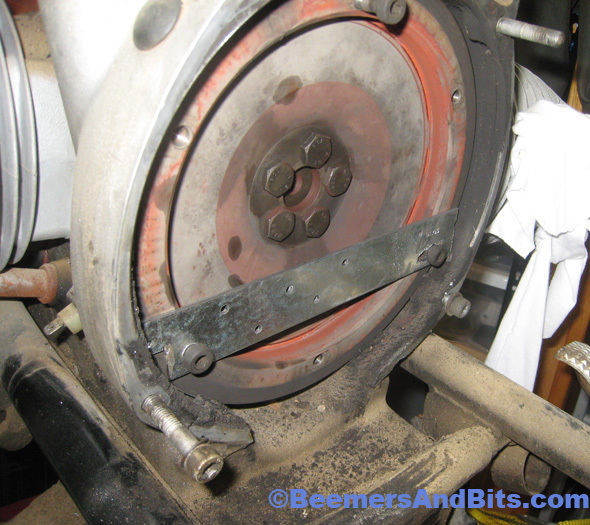 Some suggest using a center punch and making a small score on the crank shaft and another on the flywheel so you can put the flywheel back in the exact same position and your TopDeadCenter mark is still accurate. Using a permanent marker might do the trick for a short term solution. 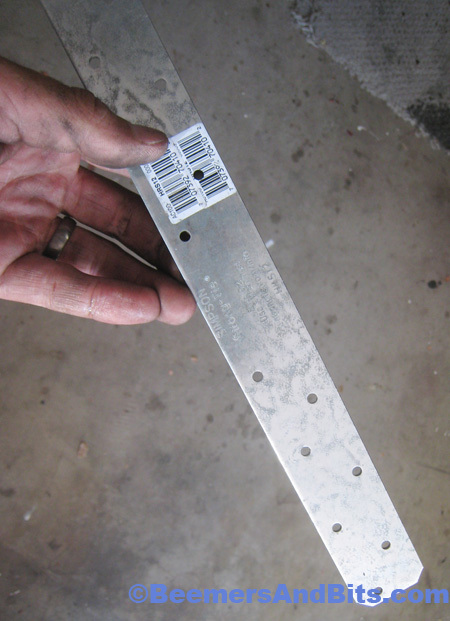 Piece of steel, cut and drilled out to prevent the flywheel from moving. That’s it! Now that the flywheel is removed, time to send it off to get lightened! Another note while the flywheel is out… some people put white paint on the timing marks so you can see them better when timing. Just a tip…. 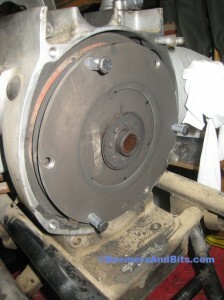 Oh… and remember to THROW AWAY the 5 flywheel bolts. They are torque specific bolts and once they are torqued to spec, the can’t be used again. If so, they may wiggle back out and cause some SERIOUS damage. Northwoods airheads sells a $4 crankshaft blocking bolt to prevent the crankshaft from moving forward when removing the clutch / flywheel. 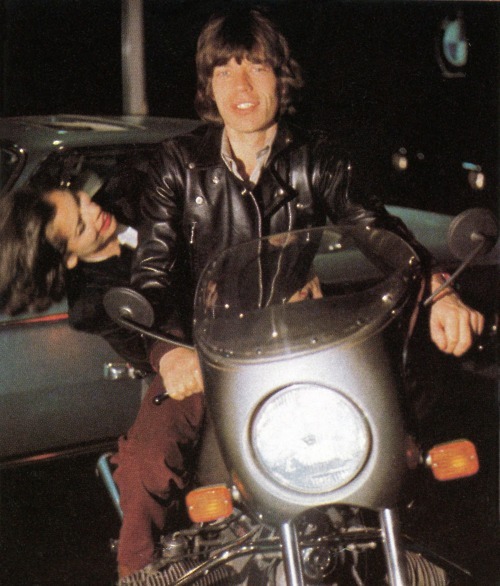 Tiffany on a R80GS around the world. BMW Unscripted – Tiffany from DIGITALKITCHEN on Vimeo. Steve Jobs on a 60's BMW motorcycle. 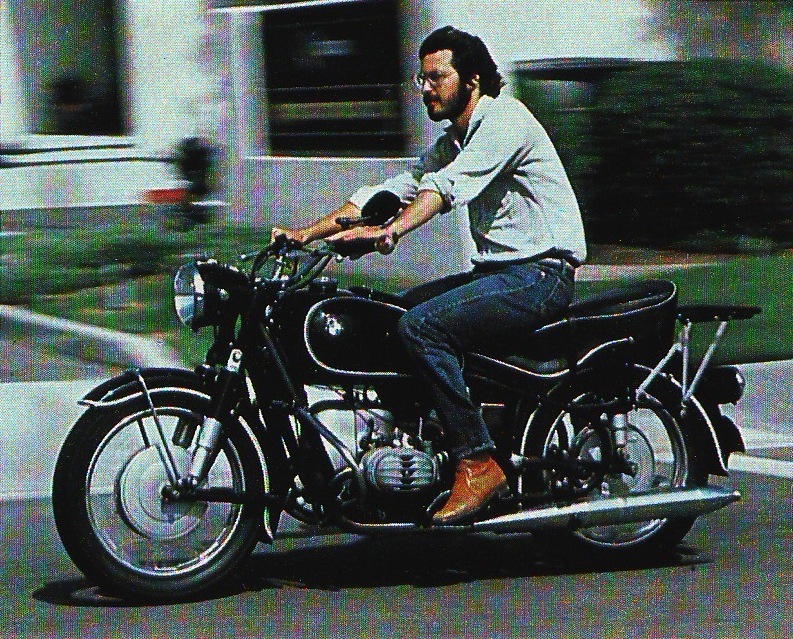 Makes me wonder, what works better, my BMWs or my Apple products. I know sometimes i want to throw my wife's iPhone in the trash. But i do love my desktop Mac. 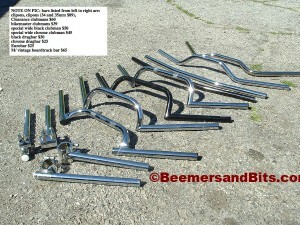 There are many many options out there for clubman style handlebars. I am often asked which bars i used for my bike. I think they are Clubmans for a Suzuki but I lost the link to them due to a computer crash years ago. According to the photo mine are called ‘Clearance’ Clubmans and are a 7/8 bar size. I saw this ad on Craigslist a while back and ‘Borrowed’ the person’s photos. I hope this helps those in search for specific clubmans. You’ll have to do some modifications to get the 22mm BMW clamps and controls to fit on the 7/8 bars. Clubman handle bars , click the photo for a higher resolution version.